Starting August 1, Amazon has refreshed its Amazon Households settings for Prime members, limiting membership sharing to two adults and up to four children. According to a recent research report, 5% of all Amazon Prime memberships are shared, and although this doesn't seem a lot, it is likely that this percentage may drop even further now. Previously, Amazon Households settings allowed sharing for up two four Prime members, making it easy to share the cost of a yearly Prime membership between friends, as even though the household address needed to be the same, you could technically get around that by adding different shipping addresses. 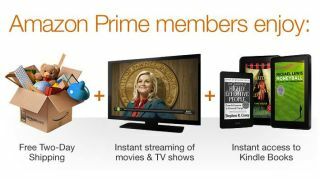 This allowed everyone in the Amazone Households to access all Prime benefits, including free 2-day shipping, access to Instant Prime Video streaming, Kindle Owners' Lending Library and Prime Early Access. It was made easier because each Amazon account could be linked to different payment options, which weren't necessarily shared. Now, with the new Amazon Households settings, only two adults can share a Prime membership, and "both adult account holders need to authorize each other to use credit and debit cards associated with their Amazon accounts for purchases on Amazon." Your payment options will stay the same, but you will also be able to copy and paste each other's credit and debit card information to your own account - which might deter non-household membership sharing. If you have children, though, up to four children profiles can be added now, without the need for them to have their own accounts. This definitely gears Amazon Household to a more family-friendly service, at least, as you'll be able to share digital content with more of your kids through the Family Library option. It doesn't seem like these changes are retroactive, and currently only effects new sign ups for Amazon Households. But if you already have a four-adult-member Households set up, it could potentially effect you if you go in to change the sharing setups you currently have.